Most people get ink (tattooed) to identify a specific time or event in their life or a significant aspect of themselves. This can be a simple symbol, words, or a detailed design based on something with meaning. For an English speaker, tattooing using English words isn’t that interesting or creative, so people look for different ways of writing the same word in other languages in the hope of finding something interesting. This is one reason you see many people with Kanji / Hanzi Tattoos. That is all fine and good but, for the most part, these people cannot read what is written and just take the word of the tattoo artist that it means what they are told. One never knows who may or may not be able to read what he or she is tattooing. Scary eh? Which one is the correct kanji for Geisha and what do the other kanji’s mean? Don’t worry. There is a light at the end of the tunnel, so let’s begin. To get the perfect calligraphy tattoo you will need the help of three people, a translator, a calligrapher and finally a tattoo artist. You can read why you need a translator, here. Let’s first talk about the calligrapher and how they can help improve your tattoo design idea. When it comes to choosing a calligrapher, you should look for a few specific things in their resume. If they do not have a resume listed, ask for one. What calligraphy style(s) are they specialized in writing? Have they done design work before? Let’s start with the calligraphy styles first as this choice is of primary importance. 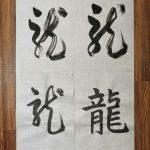 There are five distinguished core styles in Calligraphy, and they are as follows: Seal (Tensho), Clerical (Reisho), Cursive (Sousho), Standard (Kaisho) and semi-cursive (Gyousho) scripts. 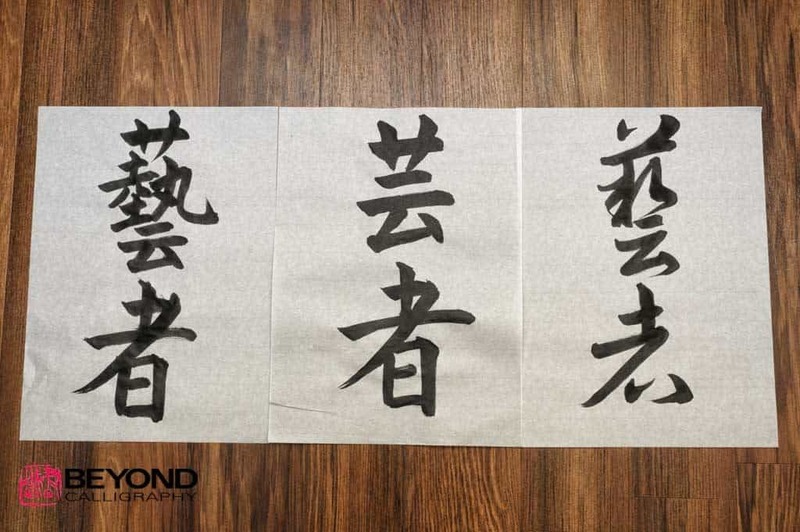 Standard script (Kaisho) is the form that students of calligraphy learn first. Its block style clearly shows the strokes as they would appear in books, newspapers or online. This happens to be the most common calligraphy script you see in tattoos, and it the most boring type of script to me. By comparison, Cursive script (Sousho) is a fast way of writing characters, and it developed through four mechanisms: omitting part of a graph, merging strokes together, replacing portions with abbreviated forms (such as one stroke to replace four dots), or modifying stroke styles. 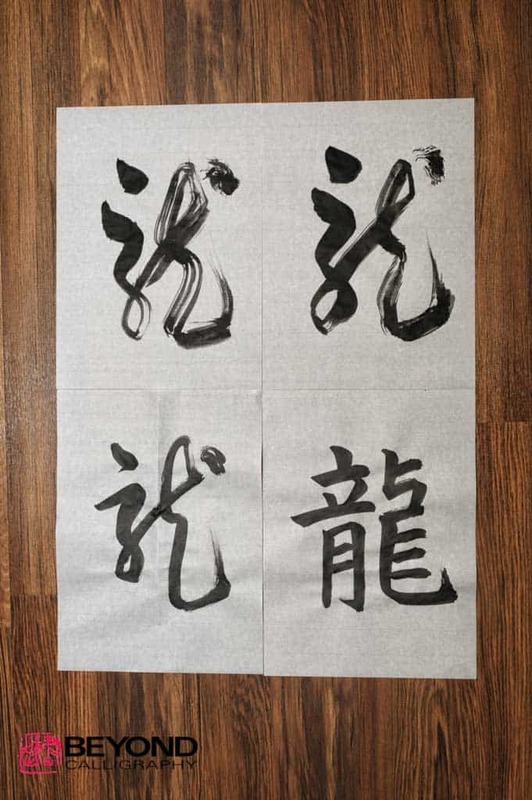 For the most part, out of the five calligraphy styles listed above, I like this one as it can be very artistic. The only problem is that it can be very difficult to read for non-calligraphers. 龍太 (りゅうた, Ryūta), written by a person studying calligraphy for a few years. If you wish to learn more about the calligraphy scripts you can read about them here. So what do I mean by “how many years of experience”? I don’t mean how long one has been learning calligraphy, but rather how long one has been studying a specific calligraphy style. There is a golden rule which was talked about in the book, “Outliers” by Malcolm Gladwell (another good read is called “The Tipping Point”). The rule states that 10,000 hours of dedicated practice is “the magic number of greatness”. Now, to put that number in perspective it would take 90 minutes of dedicated practice every day for 20 years to rack up 10,000 hours, and that is only for one calligraphy script, be it Cursive script or any other calligraphy style. This rule holds true not only for Asian Calligraphy but for all Calligraphy. 龍太 (りゅうた, Ryūta), written by a person studying kana calligraphy for a 1, 2, 3, many many many years – both are technically correct but the second one has a softer feeling to it. So what if someone lists that they are a teacher (Shihan), is that important? Yes and No, and let me explain. To be a Calligraphy teacher means you have passed a test. That is its only meaning, and there is no standardized tests.. It does not mean that you are an artist or a designer. It only means that you can teach calligraphy for a particular calligraphy style within organization. Now, would I ask my own teacher to do an oracle bone script design? Maybe not, but I would have no problem asking her to do kana, as kana is her speciality. In addition, she has experience in design work. If you want to read about kana script you can go here. Most calligraphers I have met are not designers. Their work is still great, but it’s different from that of a designer. A designer will use your requirements and desires to make your personalized design. As an example, you want the Kanji for dragon on your arm. 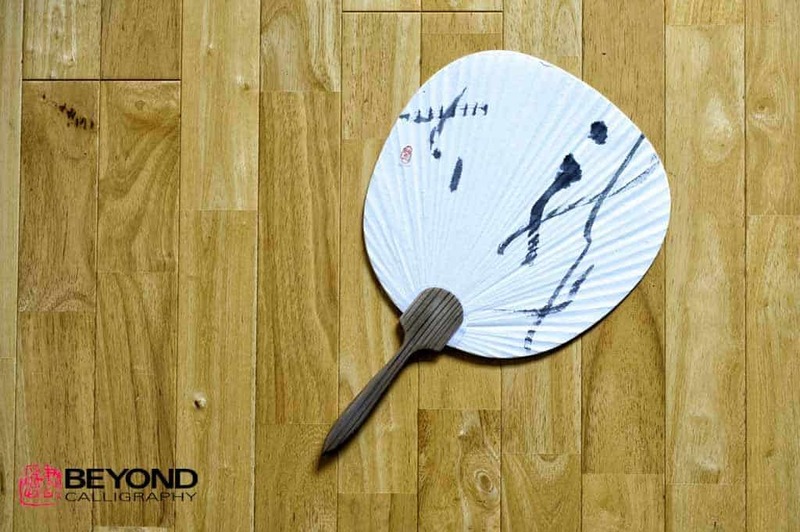 Most people will just use the basic brush strokes to write it and call it quits, whereas a designer will take the kanji and try different types of brushes for different effects, as one example. Yes, there are many different types of brushes and writing devices, and each gives a different kind of look to the writing. A tattoo design for a client. Can you guess the Kanji? What’s the point of the tattoo artist? Well, they are the ones who will be inking your body. On top of that, they are the artists who can help to finalize the design. 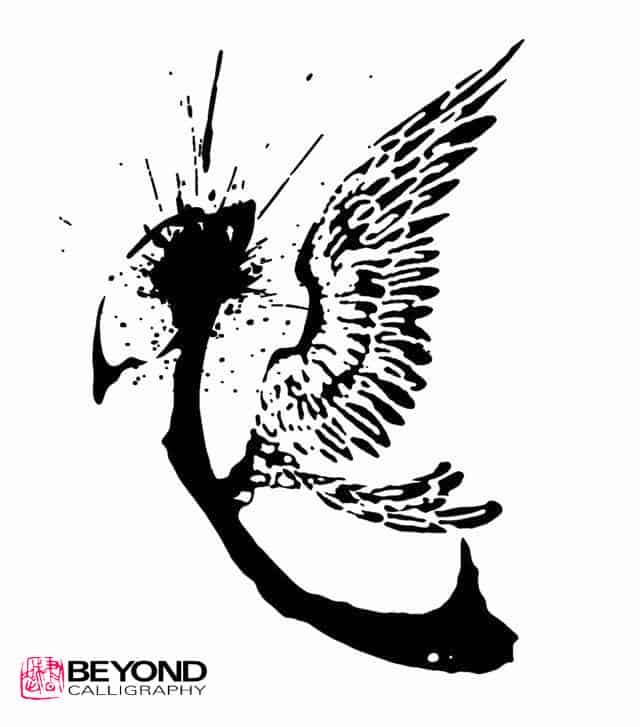 Finalizing the design could mean adding some birds flying around the calligraphy or a giant dragon as part of the Kanji. I hope that you understand that to get the most creative calligraphy tattoo, as close to perfect as possible, one will need the services of a calligrapher and a tattoo artist working together (and maybe a translator). I am not saying you cannot use one or the other, but since the end result is permanent, wouldn’t you like to know you got the perfect calligraphy tattoo design to identify who you are? ← Why do People Ask Calligraphers to Have Their Name Translated from English to Japanese?